UberEATS is all over Florida now, including Fort Myers. Once you are out on the streets, you'll notice many cars and some of them probably belong to UberEATS drivers. 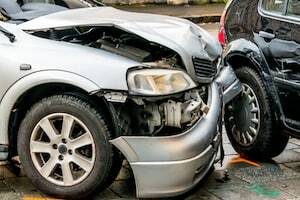 You may be involved in an accident with one and get injured. But there should be some comfort that the UberEATS insurance policy will cover those damages. But what if the driver doesn't admit that he was driving for UberEATS at the moment of the crash? They may try to hide this fact because they fear losing the opportunity to get work again in future and earn a living. That's why it is of utmost importance to call a Fort Myers UberEATS accident lawyer when you're involved in an accident and injured. If you want to recover financially from an UberEATS accident, you'll have to prove that it was an UberEATS driver who was "on the clock" and it was his or her fault. Do you know how to prove that? If the answer is no, call our Fort Myers UberEATS accident lawyers at the Wolfson Law Firm for help. We have helped car accident victims in Florida since 1963. In the few years since Uber, Lyft and UberEATS have appeared we have assisted victims injured in those types of accidents as well. Call us for your free consultation at 239-777-9954. We won't ask for fees until we recover damages for you. UberEATS launched in Fort Myers and Cape Coral in November 2017. The service is also available in South Fort Myers and North Fort Myers. When it was added to the Florida UberEATS network, many cities were there already, including Miami, Tampa, Sarasota, Gainesville, Jacksonville, Orlando, and Tallahassee. The demand for the service was so big that the app already had multiple downloads even before launching the actual service. In Fort Myers and Cape Coral, UberEATS had already partnered with 80 restaurants. As we said, they may not admit they were driving for UberEATS due to fear of suspension. But, if you have a good Fort Myers UberEATS accident attorney working with you, he will investigate the case thoroughly. He will inquire with UberEATS if the driver is on duty at the moment of the accident. The attorney may need to subpoena the records from UberEATS for that particular driver. He can talk with the police officer conducting the accident investigation, the representative of the driver, review public records or anything else that could get you closer to full compensation from the responsible party. At the Wolfson Law Firm, we also represent UberEATS drivers injured by the negligence of other drivers. So whether you are an UberEATS driver or you were injured by an UberEATS driver, you should take advantage of our offer of a free consultation by calling 239-777-9954 so you clearly understand your legal rights. Since recovering damages from an UberEATS driver is not a straightforward task, even with the Uber insurance policy in mind, call our Fort Myers UberEATS accident lawyers at the Wolfson Law Firm to help you pursue the compensation you deserve. We are available for free consultations at 239-777-9954 and you can call us anytime. We handle all personal injury cases on a contingency basis, which means that you won't pay unless and until we recover for you.